So what to do, ? Where is it.? Well it is here below. This photo is upside down, The master cylinder mount rear, is that large hole at the bottom below, but this photo is clear. That bottom lever is the clutch cable lever. Next is the factory weak instructions. GM Chapter 5, but sadly no photo of method or what a cushion might be. Clock wise screws in the switch, the par B is a Cushion newer years have no part 508 , only a welded base, there but the adjustment is same. Next is my cheat sheet. 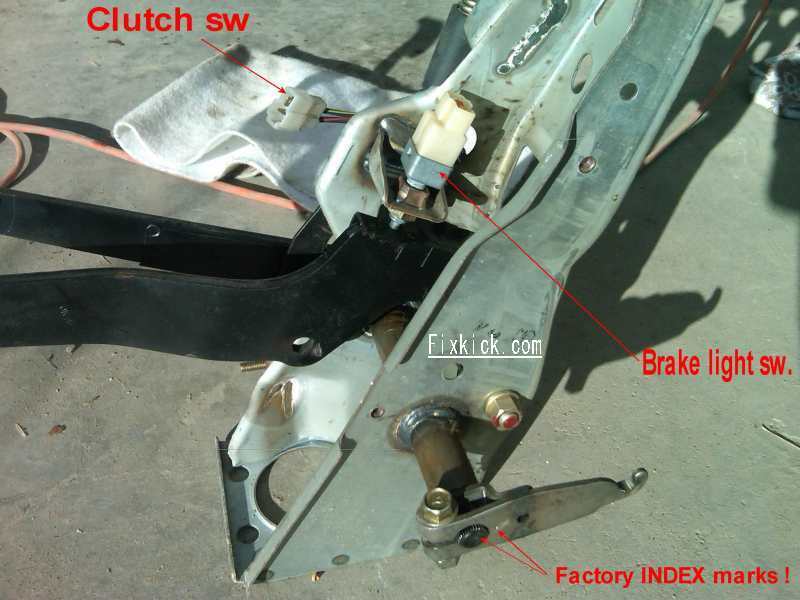 The switch rod in switch actual is spring loaded, if not its bad switch, and when brake pedal is up, the switch rod is compressed to 1mm length, that is SPEC. 1mm is the thickness of a match book cover! use that, and is more than accurate enough. 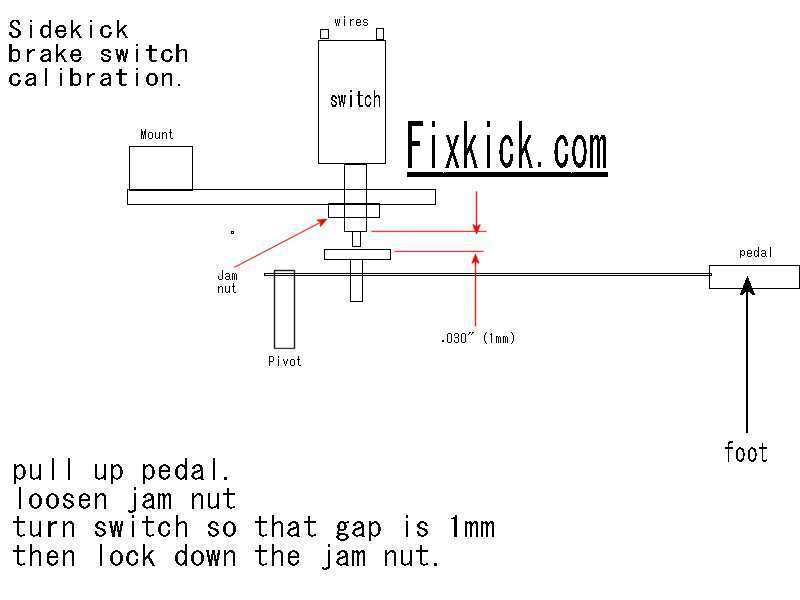 The switch closes to make brakes glow, after moving brake pedal a short distance downward. 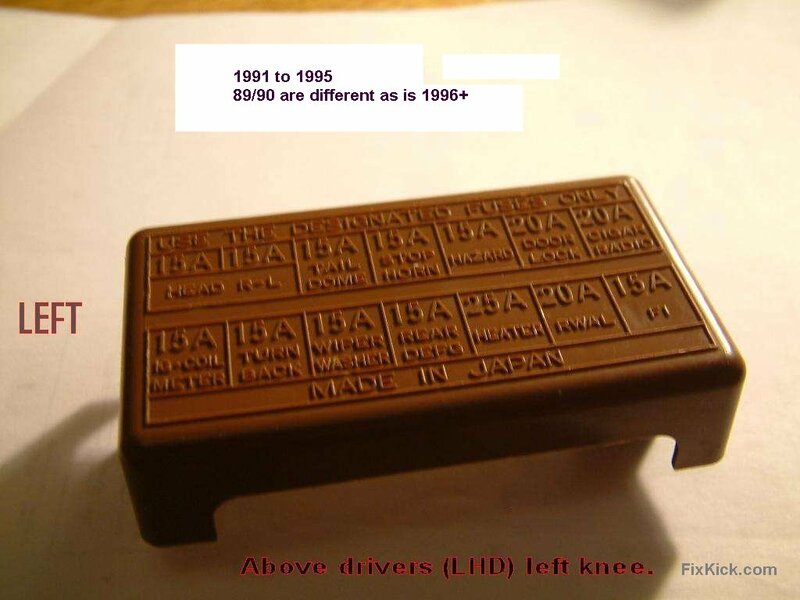 If the brakes do not glow the horn/brake fuse can be blown, or this switch bad or mal-adjusted. per above. If the gap is too large the brake lamps glow all the time, key on. If the switch fails Cruise option fails too. The fuse can be bad, some are RUSTY others have tiny unseen cracks inside, so replace it at 50cents. or all fuses here, for other years.